Lessons in life: If you are afraid don't do it; if you decide to do it don't be afraid. Most people never forget the first moment they stood on the edge of the cliff all set to take that big step beyond the comfort zone to start rappelling. Its the moment of truth "Darr ke Aage Jeet Hai Moment" coming as reality. And over a hundred thoughts run through your mind in over a dozen dimensions. Technically rappelling is an Art and Science of descending over a vertical surface, such as a cliff or wall, by sliding down a belayed rope using a rappelling technique and safety gear. And Every-time Exploring beyond the comfort zone there are many things that you learn. Time Required: Minimum half day can be extended to 3 days. 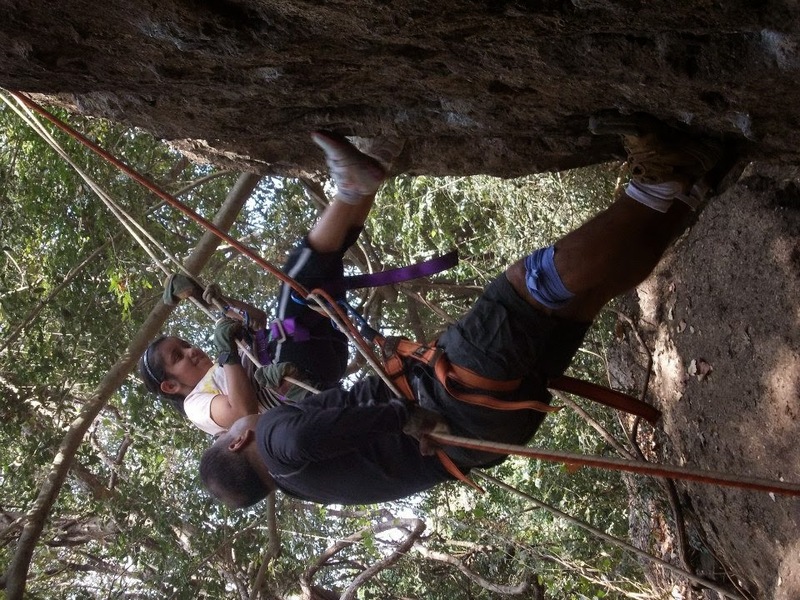 We can combine other activities like rock climbing; valley crossing; jumaring; rescue operation; rope management etc to make it a complete program; Or blend it around other team building activities.